Intelligent Infrastructure Systems, a Pennoni company, was contracted to design and install an efficient structural-health monitoring (SHM) system capable of providing information regarding the operational and structural performance of the Burlington-Bristol Bridge. 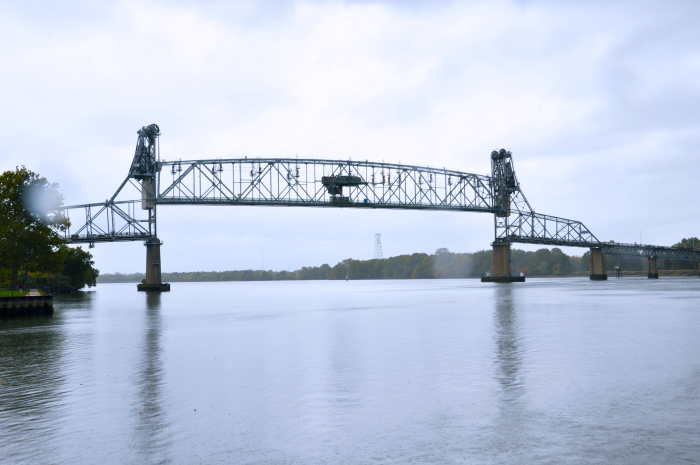 The owner, Burlington County Bridge Commission, has adopted the goal of indefinite preservation for their signature structures and has moved to augment conventional engineering practice with the latest sensing and simulation technology to ensure all decisions are made from the most informed standpoint possible. The Burlington-Bristol Bridge is a signature long-span bridge that crosses the Delaware River to connect Bristol, Pennsylvania, and Burlington City, New Jersey. The bridge is 3,144 feet in total length, with a 540-foot main-span through truss that lifts 75 feet vertically to accommodate large ships. To assist in the design and development of the SHM system, a detailed 3-D finite element model of the entire span was constructed, and used to design an efficient and effective instrumentation plan. The SHM system for the Burlington-Bristol Bridge utilizes a wide variety of Campbell Scientific hardware and sensors to achieve the measurement objectives. Specifically, a CR1000 datalogger measures two laser displacement sensors that measure the movement of the movable lift span in conjunction with a CS477 water-level sensor that provides real-time under-clearance of the bridge to its operators. A network of CR3000 dataloggers also measures both electrical resistance strain and vibrating-wire strain gages across the bridge. CR3000s are also used to measure vehicle-speed sensors and road-surface temperature sensors, both aimed at improving operational performance of the bridge.